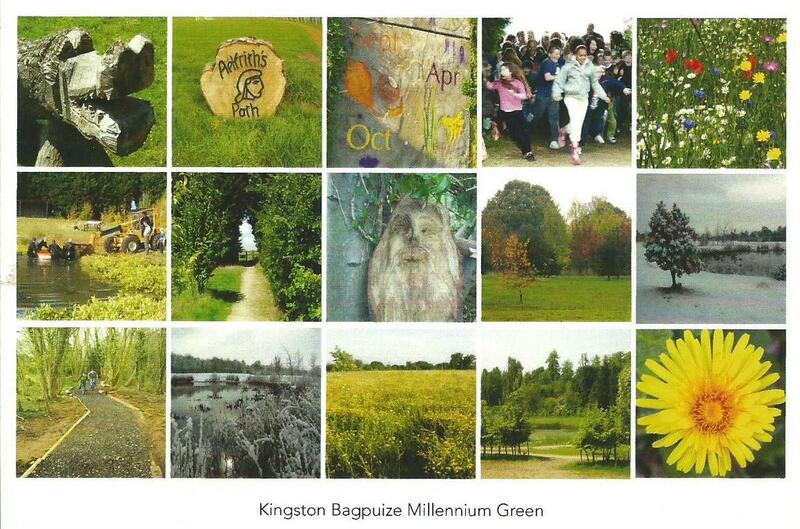 The Millennium Green is a 9 acre site situated to the east of Kingston Bagpuize on the old Oxford Road. It is managed to encourage wildlife and it has a fine wildlife pond with toads, newts, dragonflies and nesting moorhens. Over 2,000 native trees have been planted and there is open grassland and a wildflower meadow. It is well worth a visit and there are organised village events at the Green throughout the year. In the interests of other users we would appreciate it if you would take any rubbish away with you and please note that dogs are not permitted. To offer practical support why not come along to one of our work parties, or to offer financial support you can become a friend of the green. For details of both please contact Guy Browning via email or call on 01865 821444. You can also find out more from the Millennium Green website.